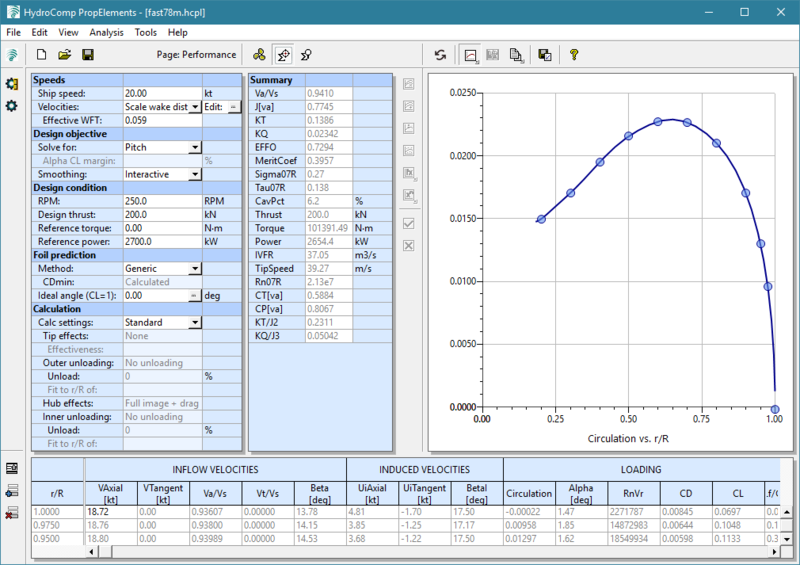 PropElements is software for detailed propeller design and analysis. It provides the ability to capture the performance of a propeller “on-the-hull” with HydroComp’s unique wake-adapted propeller design codes. 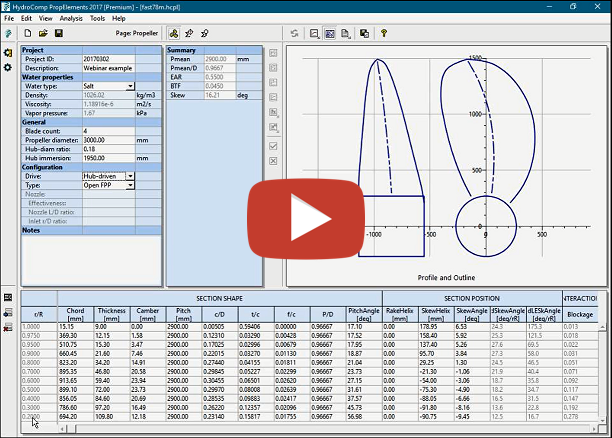 Analyze existing performance for a given geometry, or let PropElements solve for optimum distributions of pitch and camber. Click here to view the PropElements product brochure with additional details and specifications. New! Watch the About PropElements webinar! optimized and fitted to the individual vessel (or vessel type). To fully take advantage of the benefits that custom or semi-custom propellers make available – or to evaluate them in service – naval architects must look to a different kind of propeller calculation. Analysis blade strength, tip and hub loading. The foundation of PropElements is a unique distributed blade foil code, with empirical connections that allow analyses to be viscous and fully-scalable. PropElements can also be applied to analysis, as well as design. The ability to investigate radial values of foil lift and cavitation number, for example, can help identify potential sources of root cavitation or blade impulse excitation. A number of Import and Export options make PropElements an important companion for HydroComp’s NavCad and PropCad® software, as well as the perfect pre-processor for higher-order flow codes, CFD, and FEA. 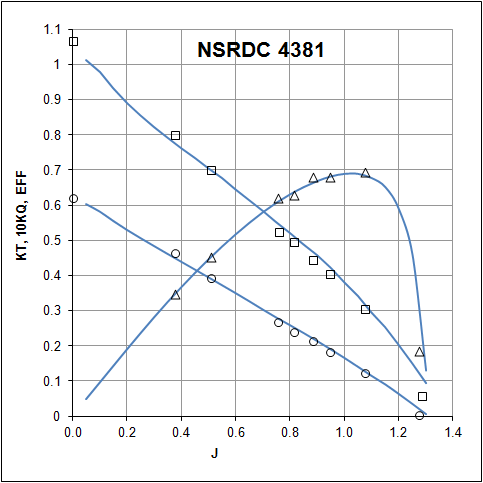 For example, early-stage performance prediction is typically conducted using NavCad. 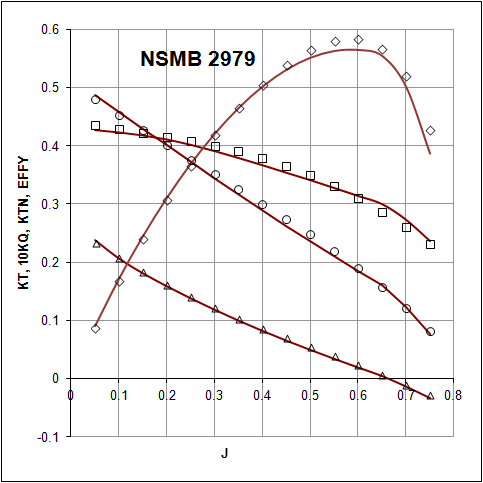 One unique NavCad feature is “Aligned Series” propeller performance, where KT-KQ data from model tests – or from PropElements – can be used to correlate custom propeller performance to series calculations. Then, when the propeller has gone through the “design for performance” process with PropElements, its “design for manufacture” can be completed in PropCad. 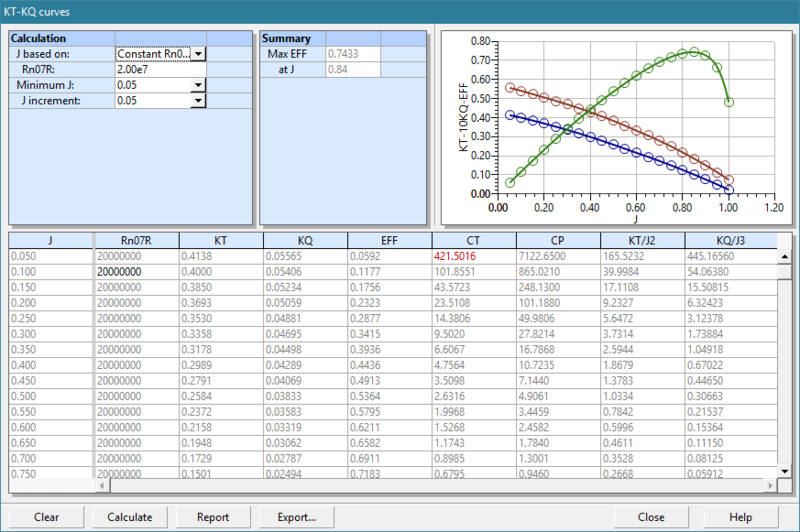 CFD and FEA calculation benefit from PropElement’s calculation of proper body forces. HydroComp conducts formal benchmark validation studies for PropElements using model test data for quantitative fidelity, and CFD studies to confirm scalability and qualitative outcomes. Engine power densities will grow; fuel costs will increase; and emission reduction will become more urgent – all leading to the greater use of specialized propeller designs. 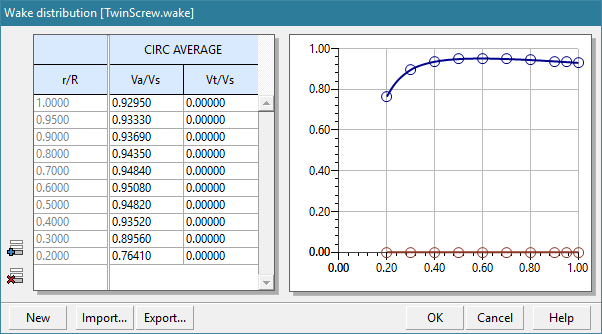 With more propeller builders now capable of delivering “made to order” propellers, custom and semi-custom propellers of wake-adapted design should be considered for new construction and repowers. The widespread installation of these propellers also suggests that naval architects need the ability to analyze their performance in greater detail than has typically been available. Whether for confirmation of propeller designs for new-build projects or the post-delivery evaluation of trial performance, HydroComp PropElements 2017 should become a commonplace fixture in a naval architect’s toolbox.